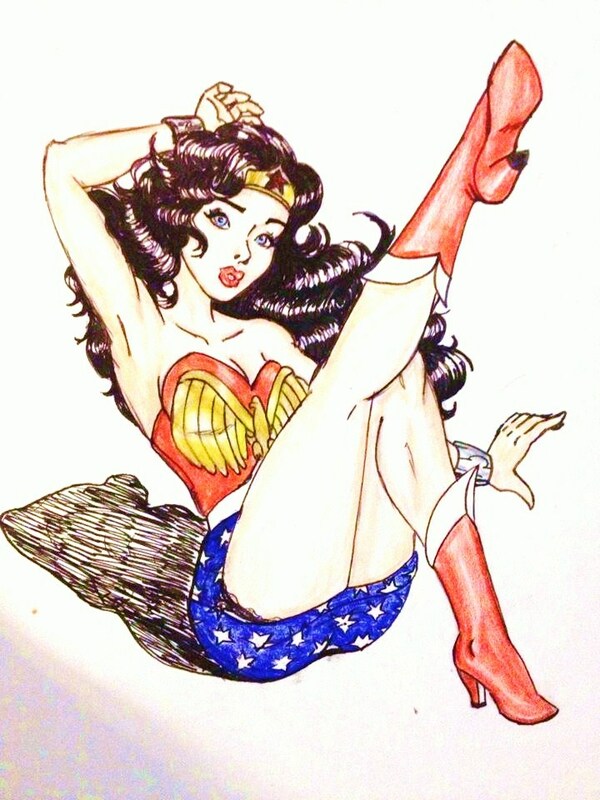 1940's Wonder Woman Pin Up. 1940's Wonder Woman Pin Up. HD Wallpaper and background images in the वंडर वुमन club tagged: wonder woman fan art. dc. comics pin up 1940 golden age. This वंडर वुमन fan art might contain मोबाइल फोनों के लिए, हास्य पुस्तक, मंगा, कार्टून, एनीमे, कॉमिक बुक, and manga.